Why you should watch Fleur's videos: Fleur is incredibly engaging & watching her videos you feel as though you're just watching someone having a typical conversation with you. Her reviews are always interesting to watch as she will give detailed rundowns of any product & will honestly say if she doesn't like something. She also mixes her beauty channel up with fashion every now & then & does conversation tags which are also great to watch. She also does fantastic swatches during her videos & close-ups of the products which are handy, especially when websites have dodgy product photography! A favourite video from Fleur De Force: It was so hard to pick a favourite for Fleur & all the other vlogger's in this post! I've chosen this video where Mike her boyfriend has gone out & purchased makeup that he then does for Fleur. It is so funny to watch & he takes his duties very seriously. Watch it here. Next is Miss Glamorazzi. Ingrid is a beauty vlogger from Los Angeles. Like Fleur she posts a range of beauty videos from hauls to tutorials as well as tags like the '$20 makeup challenge' and DIY's. She also includes regular lookbooks on her channel as well. Ingrid also has her own vlog channel where she posts travel videos, random products she loves from each month & tag videos. Ingrid in one of her Outfits of the Day. I love this dress! Why you should watch Ingrid's videos: Ingrid is always energetic & enthusiastic in her vlogs which of course make them interesting & fun to watch. I always enjoy Ingrid's haul videos because she always covers a wide range of products & price ranges-so not all her products are high end, but they are still good quality. A favourite video from Miss Glamorazzi: I actually really enjoyed Ingrid's most recent haul video, her Fall Shopping Haul. I've only really started getting into Lush's products in the last year or so & Ingrid mentions about four or five in this video that I hadn't ever heard of, some which I now want to try. This video also makes me wish New Zealand had Bath & Body Works, you'll understand once she starts talking about the candles, trust me. Now for someone who vlogs a little closer to home, Shaaanxo. 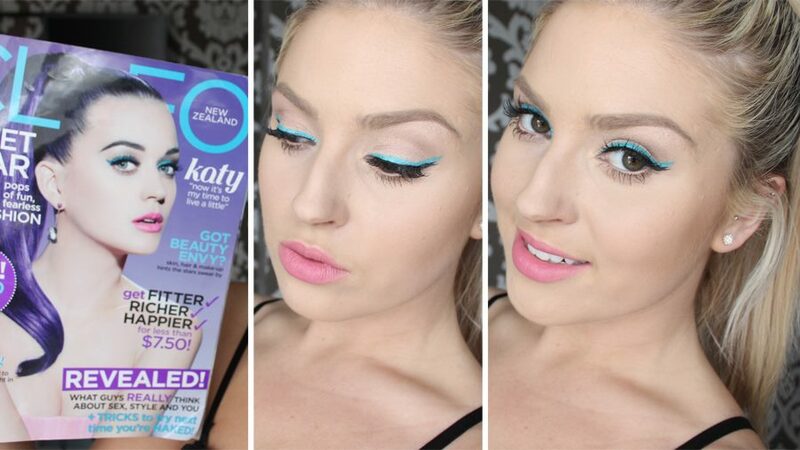 Shannon is a beauty vlogger from New Zealand! She vlogs makeup tutorials aplenty, product reviews & 'getting ready' videos where she vlogs the makeup looks she wears out & about. Shannon also has a personal vlog channel where she posts videos from her travels as well as FAQ's & the like. Why you should watch Shannon's videos: If you're from New Zealand you'll know how hard it is to find particular brands of makeup here, even more so when nobody in New Zealand sells brands like Urban Decay or Benefit Cosmetics. Thanks to Shannon, I now know where to buy those products & more online. Like Fleur, Shannon will also honestly say if she doesn't like products, so you know what not to buy! A favourite video from Shaaanxo: This was another hard decision but I really enjoyed this 'How NOT to do your makeup' video, it's very entertaining to watch & of course learn how not to apply foundation & bronzer in particular. Last but not least there is my favourite beauty vlog, Pixi2Woo. 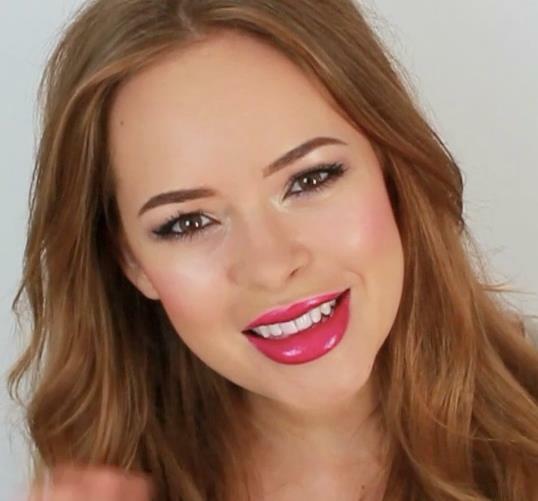 I'm sure most of you will have heard of British Beauty Vlogger Tanya. She usually uploads two beauty-themed videos per week which are always worth waiting for. Tanya vlogs tutorials, her favourite beauty products, monthly favourites & more. She has also recently started using her personal vlog channel a bit more & she regularly uploads haul videos there. Here's the gorgeous Tanya in one of her makeup looks. Why you should watch Tanya's videos: There is a reason why Tanya gets thousands of views daily on her YouTube videos, her tutorials are fantastic. She always does detailed tutorials & explains exactly why she'll use certain products or techniques. Not to mention she is extremely talented at what she does & can recreate celebrity looks like no other YouTube beauty guru. A favourite video from Pixi2Woo: I genuinely enjoy all of Tanya's videos but my most recent favourite of hers has to be a Keira Knightley inspired makeup tutorial she recently did. I love Keira Knightley & the makeup she wears so I enjoyed seeing how to recreate her makeup look myself. Watch it here. -So there you have it! Those are the beauty vlogs I regularly frequent. Do you watch beauty vlogs? Who are your favourite beauty vloggers? Leave me a comment & let me know which channels you subscribe to. -Image Credits: All images have been sourced from the vlogger's Facebook pages.